Everyday people been fired from the day job even employee changing their firms do to a reason best known to them while human resource department looking out for trust worthy and efficient workers. 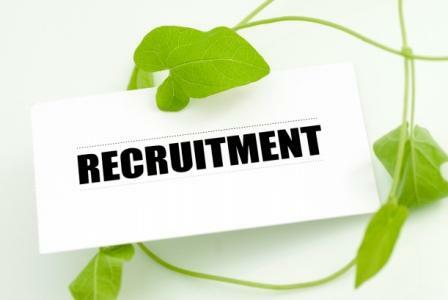 recruitment agencies both online and offline. Do you know that you can make up to a million naira from this business? As far as millions of graduates are churned out from higher institutions every year,there will be market for this business. You don't need a degree to start the business so pocket it. and employees. If you are looking for a perfect business that you can engage in, you might want to consider investing in a recruitment agency. How do you make money? This business is lucrative,all you need to start the business is a small furnished shop for your office, Laptop and forms. You can advertise by giving out flyers,posters, using social media etc. You can get clients in Schools,religious centers, banks,eateries and at populated areas like bus-stops. If you can source for workers for a small production company that needs 20 factory workers with SSCE as qualification. You can earn up to 20% or more from their basic salary. For example if each worker is to be paid #30.000 monthly, that means you will get #10.000 multiplied by 20 that is a whopping #200.000 you'll get on monthly! What if you supply 30 or 50 workers? Can you see that this business is lucrative? Another way to make money is to give them your recruitment form on a fee lets say #2000 and if you have 500 job seekers to collect the form then you are in millions. Plan on how you get clients avail of your recruitment and human resource services. You need to brand yourself and focus on a particular group, may be health sector, schools, hospitality,factory workers, management staffs,executive staffs,construction, sales reps,sales promoters etc. Among the challenges of job placement agencies is finding clients who will avail the different human resource services that they offer. It is therefore best that you identify how you are going to have employers and companies avail of your placement agency services. 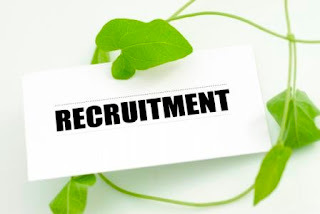 employment recruitment agency services by telling them about the advantages and benefits that they can avail when they take advantage of recruitment agencies. are the best recruitment agency for them. To be competitive in the recruitment agency business, you must know how to get the best and most qualified workers to apply in your temporary employment agency. their employment agencies. You must have been seeing posters,flyers and job opportunities written on walls,sign board etc. available workers will surely help your recruitment agency become a reputable and efficient employment agent. If you enjoy this article, please share it and leave your comments. You will Succeed.